There are many challenges in motherhood — am I right or am I right? One of the most challenging parts for me has been learning to give my children the space to find solutions for themselves. Whether it be a fight between siblings, a disagreement on the playground, or something my husband is trying to resolve with our child, my first instinct is to step in and come to my children’s rescue. I think that the mama bear instinct has something to do with always wanting to be the solution to all of my children’s problems. Thinking that I am protecting my children by speaking and acting for them, I have recently learned that I am doing them a disservice — instead of helping them grow into individuals who can stand on their own. It has taken me about five years to understand that my children can think for themselves. Practicing in standing aside, I have proudly experienced that my children can and will find solutions to simple obstacles. I now get how important it is for their development for me to step back and allow them to learn the ways of their world, with my guidance of course. 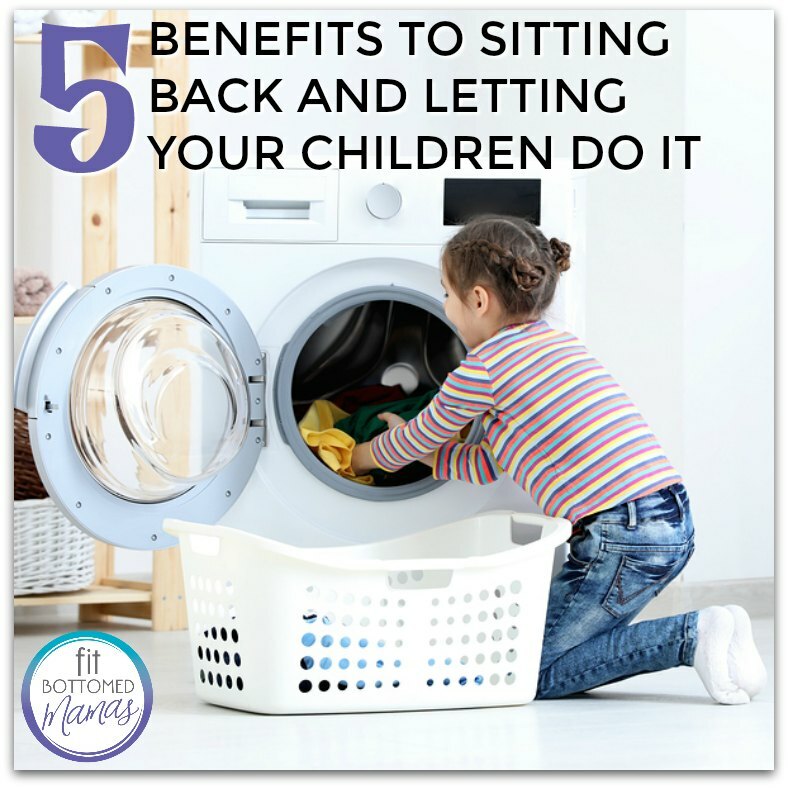 The following are five benefits to sitting back and allowing our children to do things for themselves. Creating a safe space for children to try things, to fall and get back up, and to explore their surroundings is a great way to aid our children in building confidence. Providing our children the safe space to explore solutions to their challenges will demonstrate to them that we trust them to try things for themselves. This will help make obstacles less scary and more normal, and will help our children trust themselves because we are modeling that trust for them. This one may sound similar to benefit No. 2, but it is different. Children need to trust themselves and trust you as their parent. The combination of both kinds of trust is critical to know what a healthy two-way confiding relationship is. This benefit is my favorite because most of the time I spend with my children, I am interacting with them. I rarely get to enjoy watching their brains work to find solutions. When I do give them a chance to resolve an issue on their own, I am allowing myself to soak in the bittersweet parenting moment of knowing that I am helping my children become individuals who can think for themselves. None of what I mentioned is easy. Building confidence, building trust, and providing the space for my children to fall and potentially get hurt makes my mama heart hurt a bit, or maybe a lot. However, in reflecting on the benefits, I know that it is for the best because one day I will not be here to protect my children. I prefer to know that they are their own best defense.